Sorry I’ve been gone, but it has been pretty hard to find free wifi during the holidays. What few times I had, I mostly spent searching and applying for jobs in California and Atlanta. Needless to say, I am back in Georgia and not happy about putting up the flip flops and shorts for boots, sweats and layers of clothing at every waking moment. See the proof below. 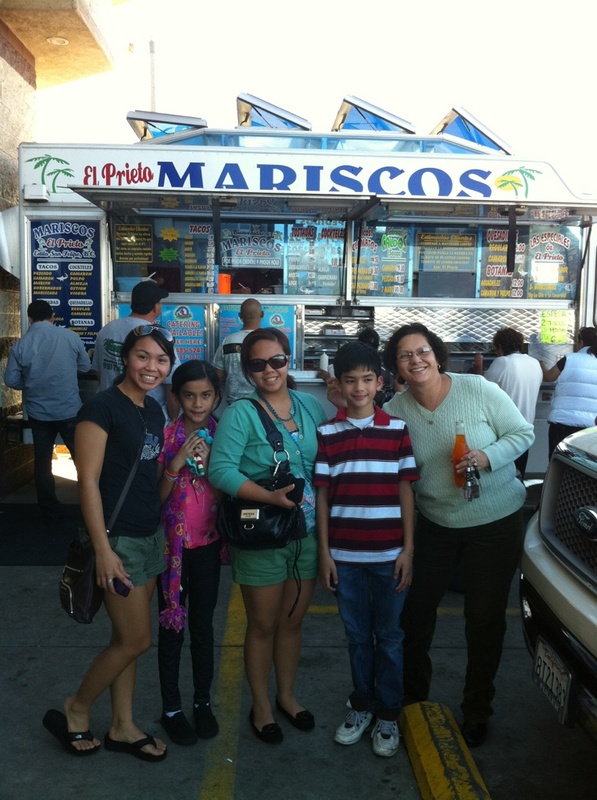 While visiting family in Chula Vista in San Diego, I finally got to eat at a taco truck. Although we were still full from our late brunch at IHOP, we couldn’t resist trying at least one fish taco that was both recommended by my cousin and had a pretty long line for 2 p.m. Other tacos I hope to taste from a taco truck one day include the gobernador, swordfish and any other taco that costs almost $6. Each taco also comes with a delicious soup that is so hot they must keep a giant pot of this stuff boiling. My cup of soup is found by my feet in the previous picture. 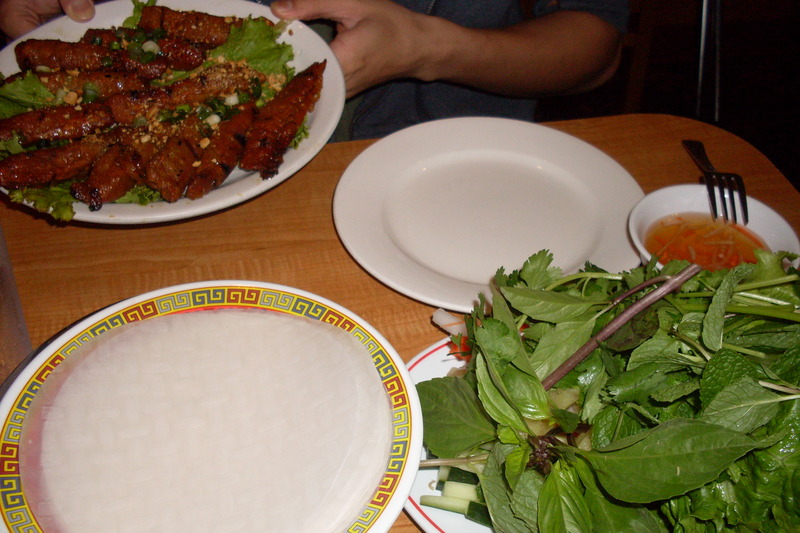 And finally on Convoy Street, we tried a delicious Vietnamese and Chinese restaurant called Phuong something. 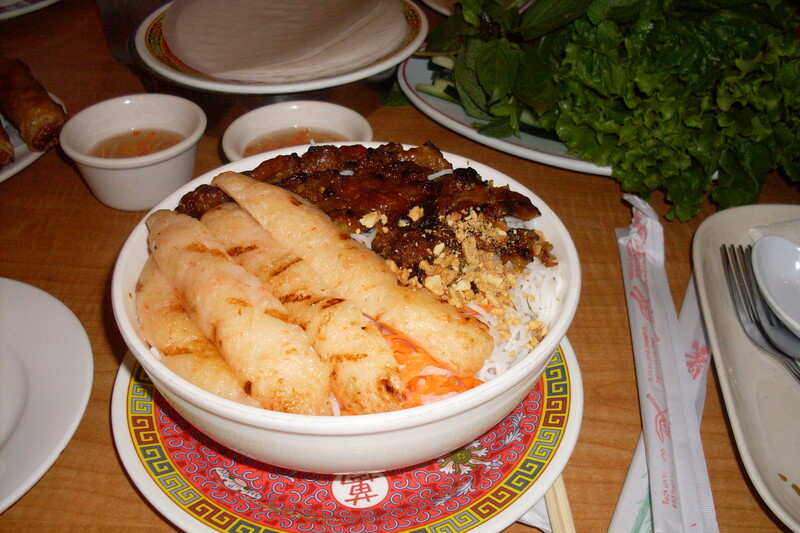 I had the bun tom thit nuong dish that consists of barbeque pork and shrimperved over dry vermicelli noodles and thinly sliced veggies. Served with lettuce, cucumber, carrots and special seasoned sauce. We also had cha gio, which are egg rolls for appetizers! To end the evening, we had boba from Tapioca Express and frozen. 🙂 Hope you enjoyed all the food pictures! I’d love to hear of your favorite places in San Diego. Just leave a message in the comment box. A few weekends ago, my boyfriend and I drove to South Carolina to visit a friend for her birthday. Aside from the birthday celebration, the next biggest attraction was going to the state fair. 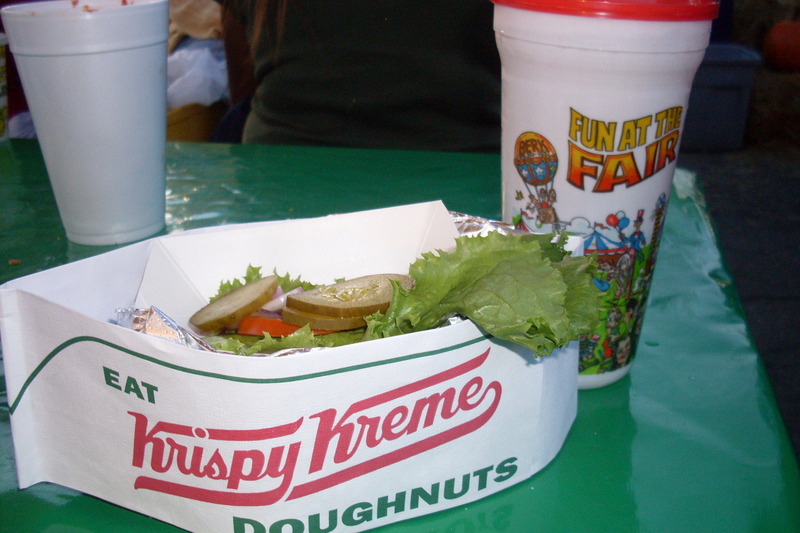 I love going to the fair, eating typical fair food along with the creative concoctions and trying my hardest to win at least ONE prize (although I feel almost everything is rigged besides the kiddie pop the balloon or pick-a-duck games). 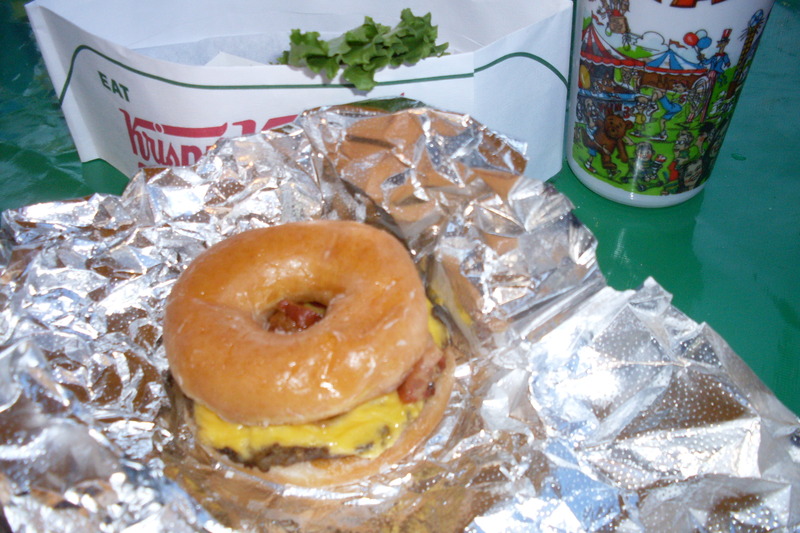 Having attended the Strawberry and Lobster Festivals in California, our friend Kriska, really got us excited about the Krispy Kreme doughnut burger! 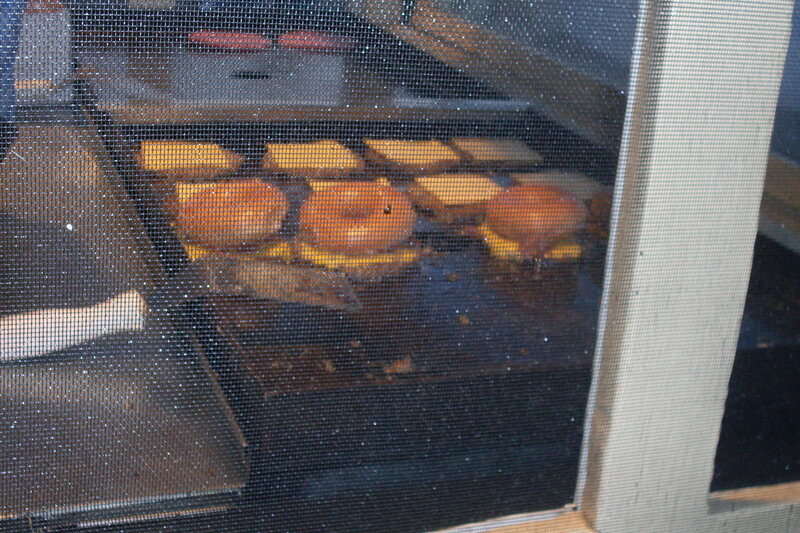 Before even trying any games or rides, the “heartburn” burger was our first stop. This is basically the only warning sign you get.If only you could hear the sizzle and smell the sugar. If only you could hear the sizzle and smell the sugar. Served in a KK paper hat! Instant aversion or watering mouth? Check out Paula Dean’s recipe here with a sunny side up egg! http://www.foodnetwork.com/recipes/paulas-home-cooking/the-ladys-brunch-burger-recipe/index.html And a big thanks to Kriska for sending me this link! 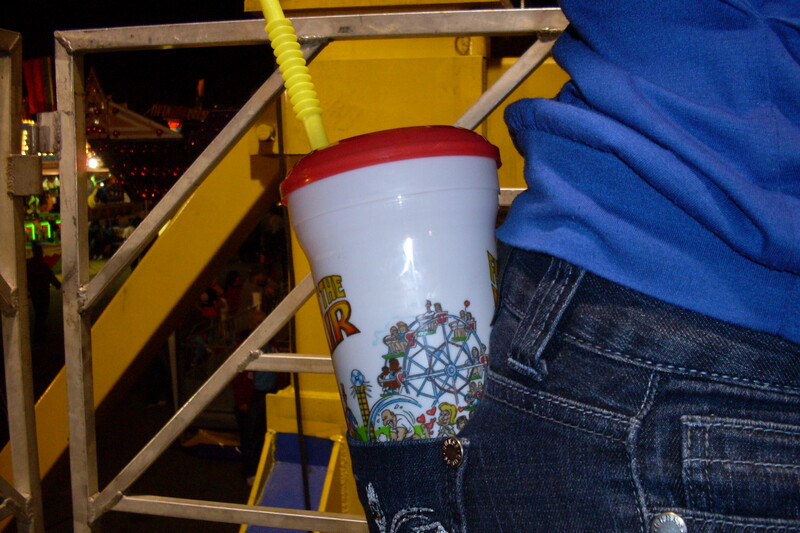 Just in case you ever want to sneak your drink into a ferris wheel booth, simply insert the cup with lip into your back pocket. 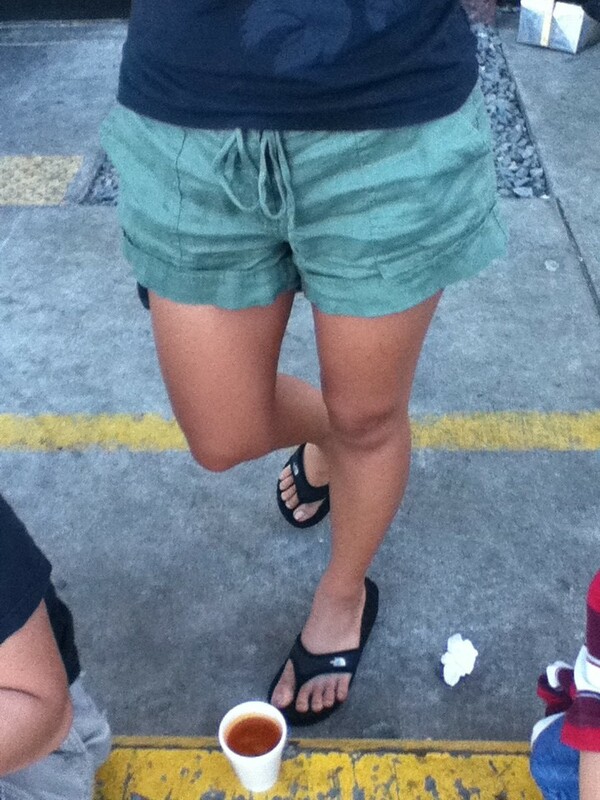 If available, conceal with a jacket. I can’t promise that this will always work or that the drink WON’T spill, but it definitely worked for me. 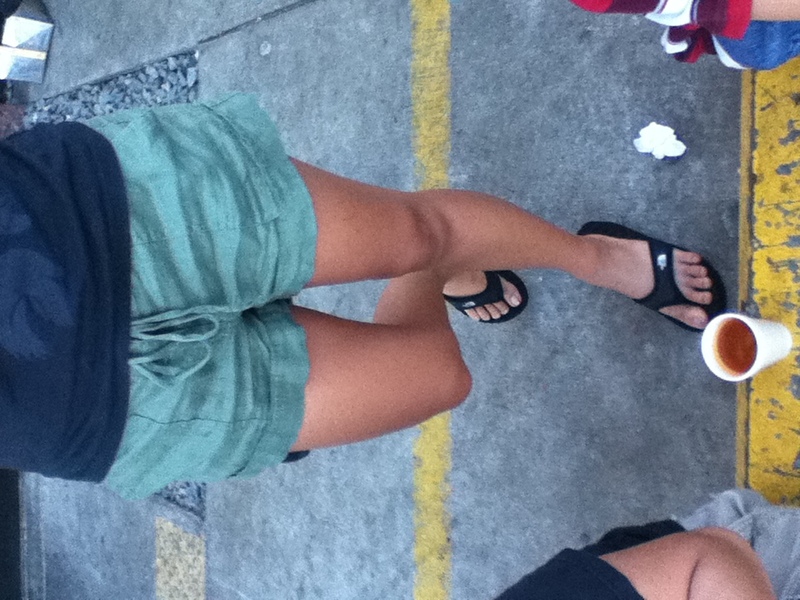 All I need is a jacket. 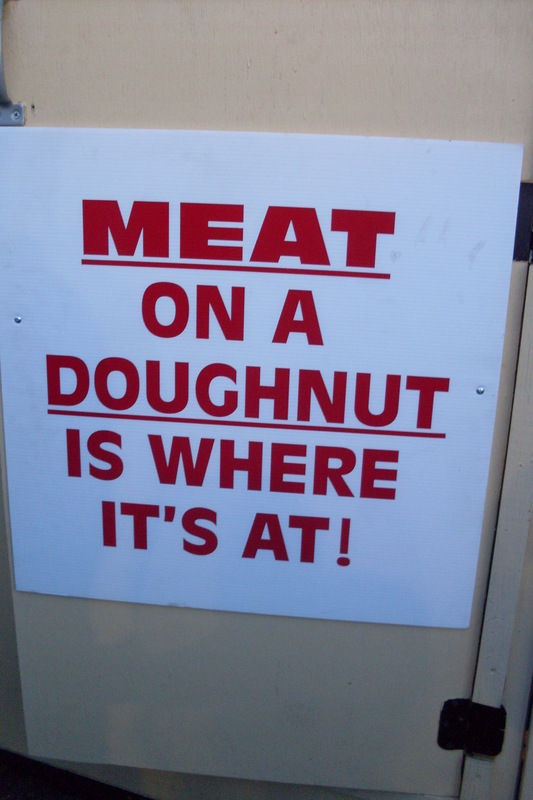 Do you have any favorite festival or fair food? I’d love to see your favorites and hopefully try them as well! Classic favorites: funnel cake, strawberry shortcake, Belgian waffle ice cream, hot dogs and hamburgers, candied apples, etc.